Crete and Cyprus have very similar subtropical Mediterranean climate. In addition, they are located in the same geographical area in the Eastern Mediterranean. What distinguishes them is the fact that the island of Cyprus is about 2 – 3 degrees warmer through almost all months of the year. This makes Cyprus more preferred in spring and autumn (at the beginning and at the end of the tourist season) but the lower mid-summer temperature gives priority to the island of Crete during the hotter months from early June to late September. For example, in the height of summer the average temperature in Cyprus during the day is around 33 – 34°C in the shade compared to about 29 – 30°C in Crete. In January the average temperature during the day is about 17 – 18°C in Cyprus and about 15 – 16°C in Crete. The beach season in Cyprus begins in early April with quite warm and sunny weather, while the beach season in Crete usually comes a bit later. It starts in the second half of the month, and the temperature is lower compared to Cyprus. It is the same in autumn. In November, the weather in Cyprus is still very good for the beach, while in Crete there are some already cloudy and cooler days. The island of Cyprus has some warm days for the beach even in December, which is very unlikely in Crete. Is it warm enough for the beach? When it comes to beach holidays, Cyprus and Crete are some of the greatest destinations. Besides a wonderful weather, the islands enjoy magnificent shores with hundreds of kilometres of lovely beaches. Which one you will choose is rather a matter of personal preference, and in any case you can not go wrong. 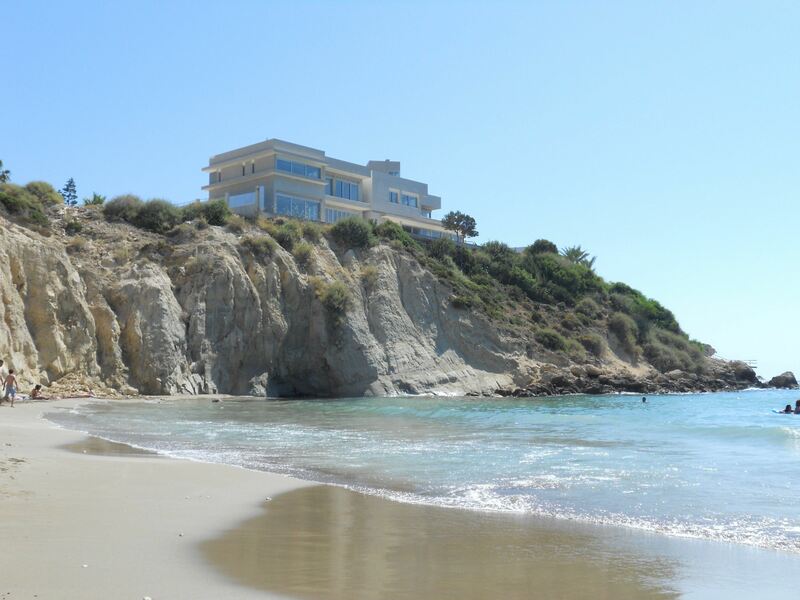 Cyprus has quite a varied coastline with a large number of fabulous beaches. Some of the most attractive are located in Famagusta district district, especially in the area of Ayia Napa, in the southeastern part of Cyprus. The beaches of Ayia Napa have been used into a number of commercials that promote the island as a tourist destination. The advantage of the beaches of Ayia Napa is their close proximity to numerous luxury hotels in the area. Also, in the Paphos district, in the North of the Akamas peninsula, lies the Blue Lagoon – one of the best diving and swimming places in Cyprus and in Europe. If you have visited Cyprus and the beautiful beaches of Ayia Napa, a few places in Europe will be able to impress you, and one of them surely will be the island of Crete. It is undoubtedly a paradise for the lovers of swimming, sunbathing and snorkeling, and many say that the beaches in Crete are even better than those in Cyprus. Here are two of the most beautiful lagoons in Europe. The first one is called Elafonisi and is located in the far southwest of the island. The place is very clean and untouched, with snow white sands and azure marine waters that resemble the Caribbean. 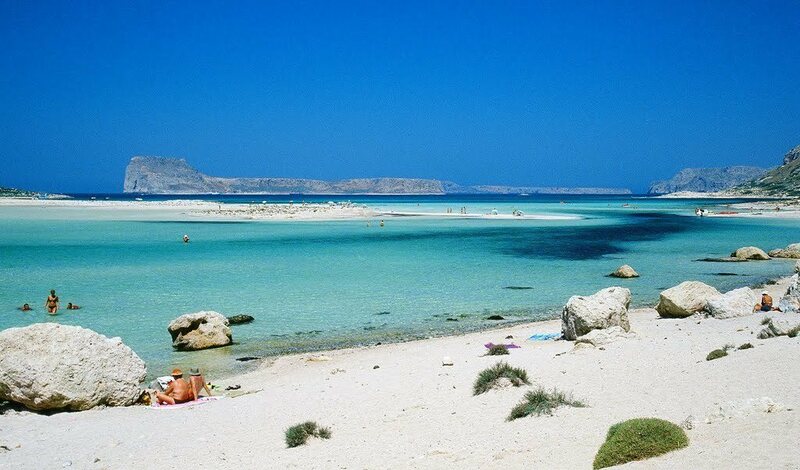 The other magical place is Balos Bay. This is a beautiful paradise lagoon, which is located in the northwestern part of the island. It is known for its transparent sea water and fine white sand. Of course, Crete offers a variety of other wonderful beaches, which are closer to the main settlements and resorts of the island, but these two places surely beat all the other spots. With their extraordinary beauty the lagoons of Balos and Elafonisi are reason enough to visit this beautiful Greek island. If you have to choose between Crete and Cyprus and the lower prices are an important factor to you, it is best to choose the island of Crete. In practice, both islands offer very good tourist services, but Cyprus is traditionally considered to be an expensive destination, perhaps one of the most expensive in the Eastern Mediterranean. If you are planning to eat out every day and want to visit different night clubs and other attractions, you’ll find Cyprus a lot more expensive. On the other hand Greece has no equal as a combination of high quality of the tourist product and affordable prices. In both places the currency is euro. In terms of nightlife Crete has much to offer, but it is believed that Cyprus is better. Similar to the island of Ibiza in Spain, Ayia Napa is considered one of the summer entertainment capitals in Europe. In Ayia Napa you will find some of the greatest nightclubs in this part of the world. This is why the island is one of the very best places for young travellers who love to dance and have fun. Cyprus and Crete are among the safest places in Europe. Both destinations are suitable for people of all ages. It is safe for families that travel with children, older people, and women who travelling alone. Cypriot cuisine has a rich and unique flavor. It offers thousands of local specialities full of fresh ingredients. However, the Greek island of Crete is considered the “most delicious” island in the world and one of the top 10 best culinary destinations on the planet, so if you are planning to enjoy an amazing culinary journey, Crete is preferable. Cyprus is one of the richest of historical sights countries in the world but slightly inferior to the great diversity of Greece and especially of Crete. The largest Greek island is known for its famous Minoan culture, considered one of the oldest and richest in Europe and in the world. The island is dotted with ancient artifacts, and history is literally at every turn. Probably the biggest pride of Crete is Knossos, which is considered the oldest town in Europe! If you are planning to rent a car and to travel around the island, it is good to know that in Cyprus, like in the UK, people drive on the left side of the road. This means that if you’re used to driving in any European country outside the UK and Malta, driving in Crete will be easier. Crete has a well-organized public transport and more regular and reliable schedule compared to the island of Cyprus. Practically, taking a bus from the major cities such as Heraklion and Chania, you can reach any town on the island. Intercity buses run from the early morning until late in the evening (usually between 6 am and 10-11 pm in high season). On the other side, Cyprus is not the best place in Europe to use public transport. Sometimes this is a serious problem considering the large distances. Although it is an island, Cyprus has a large territory, and in most cases you can not reach on foot from one place to another even within the bigger cities like Nicosia, Limassol and Paphos. In Crete and Cyprus most residents travel with their own vehicles. The small scooters are very convenient and popular because of the simple fact that you can reach even the most narrow and inaccessible streets. No matter if it is summer or winter, Cyprus is considered an easily accessible tourist destination. The international airports in Paphos and Larnaca handle regular flights to a large number of destinations all across Europe. Crete, in turn, has a distinct seasonality with very strong traffic during the summer months but fewer flights arriving during the winter season. However, Athens is one of the largest cities in Southern Europe, and it offers regular flights to Crete practically everyday. Which island is more popular with tourists? Each of the islands is visited by about 2 million tourists a year on average, which makes them relatively equally popular tourist destinations. Mainly British tourists choose to spend their holidays in Cyprus – at least half of the visitors usually arrive from the UK. The number of Russian tourists is constantly increasing. If their number continue to grow so fast, it is very likely in a few years to reach the number of British visitors. Most tourists arriving in Crete come from Germany (about 30% on average), followed by Britain. Together they form approximately half of the tourist flow on the island of Crete. Which island is better to invest in a real estate? When it comes to properties, both islands have their advantages. Recently, however, many people prefer the island of Cyprus. The reason is the more affordable real estate prices and greater choice of new houses and apartments. Which island is a better place to live? Overall quality of life is considered to be higher in Crete. Health services are better, and the average life expectancy is also higher. If you are planning to settle down on the island for permanent and have children, there are more options for getting a good education. Which island has more diverse natural landscape, flora and fauna? Most travellers describe the island of Crete as the more diverse one, but in fact the islands are very similar. What creates this illusion is the smaller area of Crete and the smaller distance between two completely different natural habitats. Otherwise, both islands have high mountain ranges. Typical examples are the Troodos Mountains of Cyprus (1951 meters high) and Mount Idi (Ida) in Crete (2456 m). Both islands offer beautiful and fresh mountain forests, which provide coolness during the hot summer months. As Crete and Cyprus are distanced from the mainland, the islands have no large wild animals, with the exception of some types of mountain goats. The largest predator is a kind of local wild cat, which inhabit the island of Crete. Snow is possible in Cyprus and Crete but only in the mountains during the winter months from December to March. Snowfall along the coast is almost impossible. Which is the better place to dive? Cyprus is considered to be the better destination for divers because of the rich underwater world and numerous wrecks lying on the bottom along the coast of the island. Moreover, Cyprus is considered one of the most attractive diving destinations in the Mediterranean as a whole! Which island to visit if you are looking for an authentic Mediterranean atmosphere? Definitely the winner is Crete. Cyprus is getting more and more populated, and many of the settlers came from northern countries such as Britain and Russia. They bring a completely different spirit and way of life, making the atmosphere of Cyprus more cosmopolitan and modern. The number of foreign-born residents of the island steadily increased over the last few years in comparison with the local population. In this respect Crete is still somewhat comparatively unchanged and authentic.